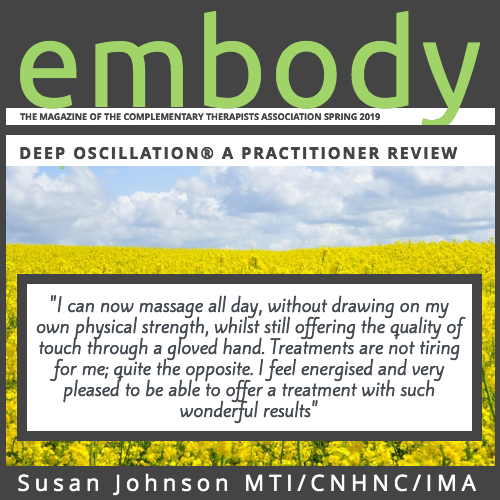 Susan Johnson MTI/CNHNC/IMA of SJ Healthy Life Naturally "I discovered Deep Oscillation therapy at the MTI Conference in London in 2018, where it was being demonstrated by the Sisters and Directors, Julie Soroczyn and Mary Fickling of PhysioPod UK. I really didn’t expect to be going home with a device of my own!" Download the full article here.